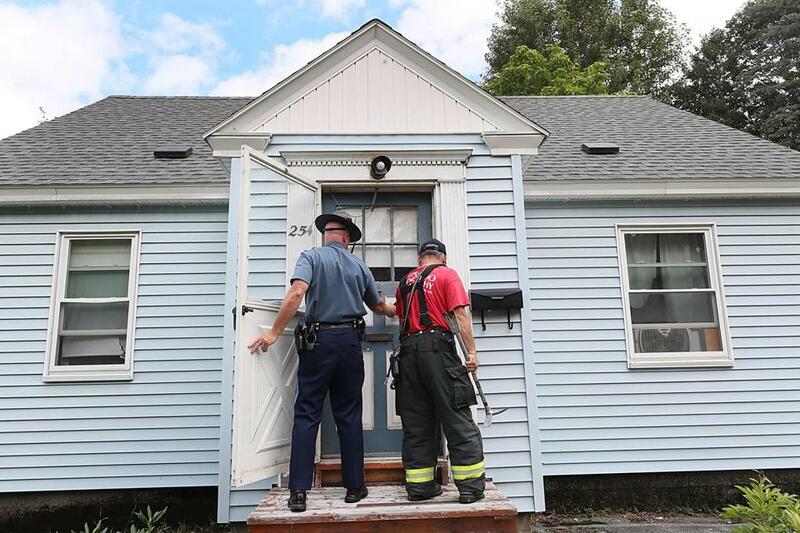 Firefighters and law enforcement personel accompanied Columbia Gas workers on Pleasant Street to gain access to home via locksmiths and going in through windows, to get check for gas leaks and to lock down the gas meters. The following is a statement issued by Columbia Gas Friday, Sept. 14, at 11:10 a.m. Please do not enter your house unless you are accompanied by a gas company representative. We expect this will be an extended restoration effort, and we are working tirelessly to restore service to the affected customers. The Red Cross has established shelters at the following locations. They will accommodate pets. For more information, call 774-204-5071. We are working with the appropriate authorities to investigate this incident. If you’re concerned about your gas service, we will schedule a safety check. If customers have shut off their gas meter on their own, DO NOT attempt to turn your service back on and please wait for additional instructions. If a customer smells an odor of natural gas, they should leave the area immediately, move to a safe location and call 911 and our emergency number at 1-800-525-8222. • Don’t turn off gas to your house or to any appliances. • Don’t try to find the leak yourself or operate pipeline valves. • Don’t light a match or candle, or operate anything that could cause a spark, including home phones or cell phones, lights, appliances, flashlights, power tools, etc. • Don’t open the windows and doors in an attempt to ventilate.